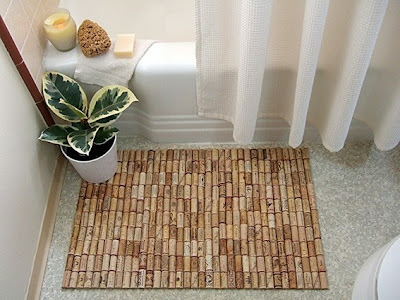 If you have been thinking of what to do with all the old corks, we have for you some really interesting, cool and functional reuses of corks. 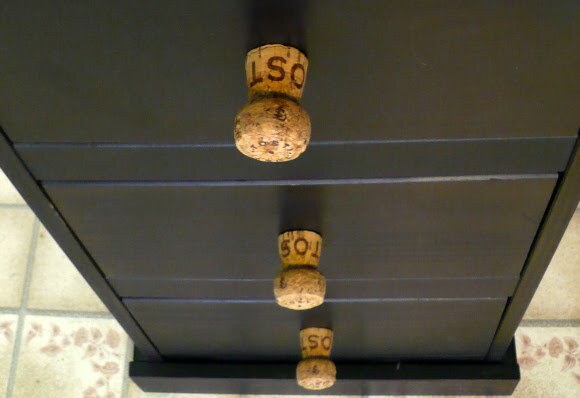 Cork Trivet and Coaster Set: Its simple yet elegant, to make these cork trivets and coasters, just follow the simple instructions. 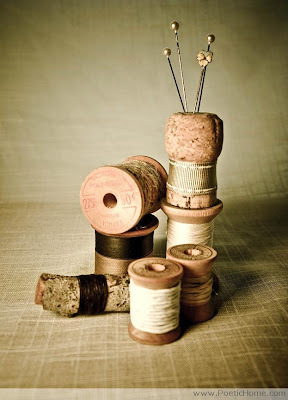 More ideas: 1 and 2. Cork Bath Mat: This cork bathmat looks stylish, simple and has a natural look with good comfort. 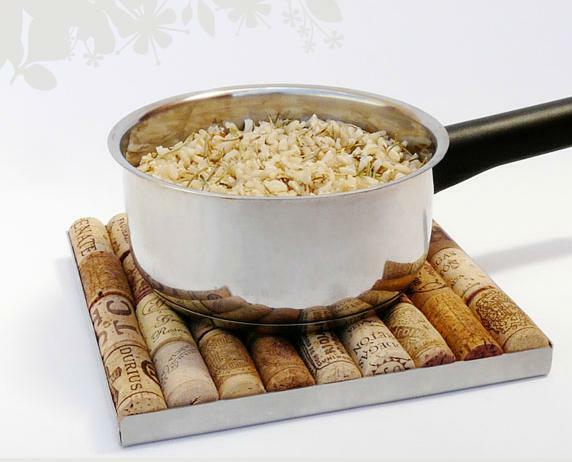 Cork Trivet: Ciclus, a Spanish design company made this aluminum tray that needs to be filled with corks to create a trivet. 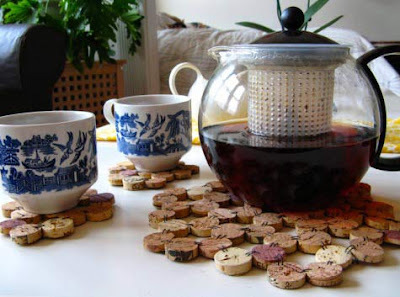 More ideas: 1 and 2. 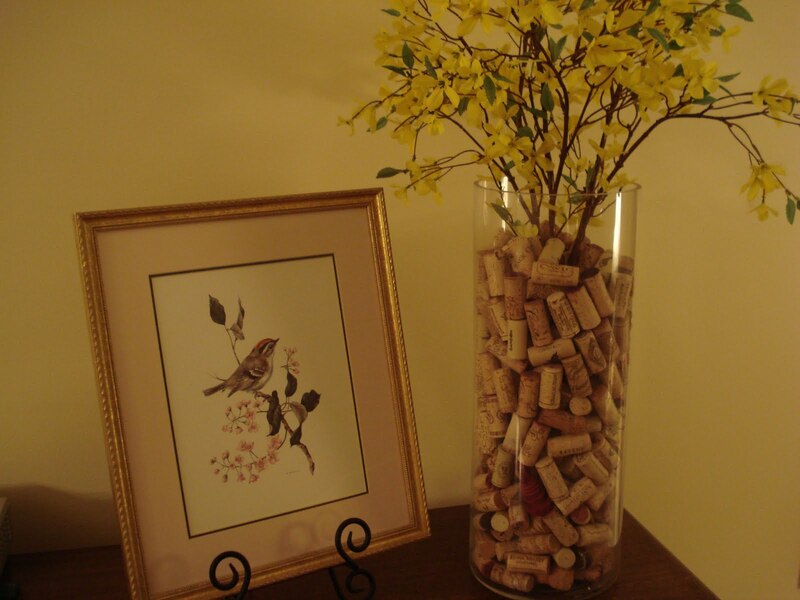 Cork Plant Marker: All you need is corks and bamboo skewers to make this cool plant marker. Canapé Knives Cork Handles: Make handles out of old corks for canapé knives. 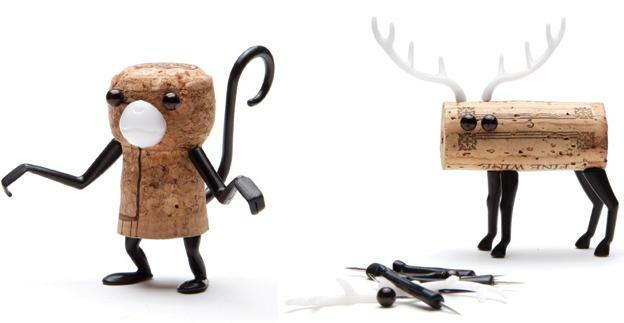 Corkers: These cool creations come in 6 designs. 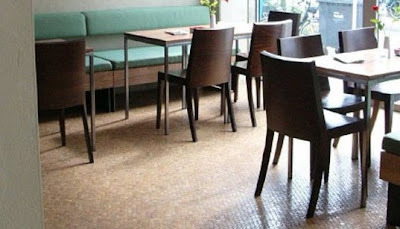 Cork Penny Tiles: Using old corks, designer Jelinek Cork designed these cork floor tiles. 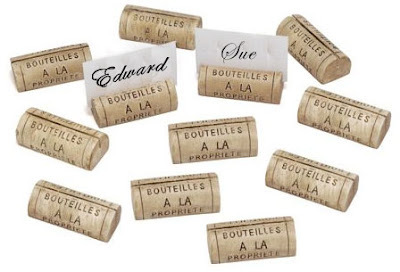 The corks are cut into circular shapes and are sticked on a special paper to mosaic patterns. Corks in a Vase: Never knew corks in a vase will look so cute. Cork Candle Holder: Put a smaller glass cylinder in the middle of the large glass cylinder and put corks around the smaller cylinder. 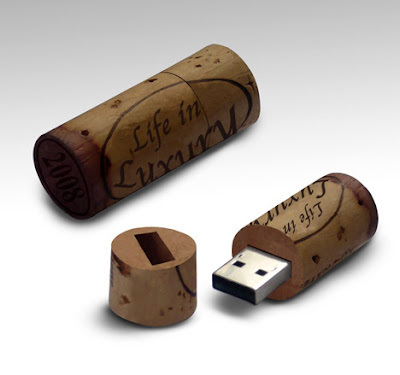 Cork USB: Designed by Arwye Wan, this cork USB is handmade. Cork Placecard Holders: These are really simple to make and looks cool too. 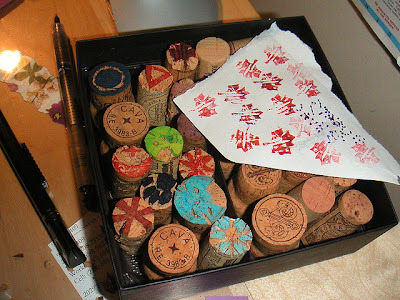 Cork Stamps: Make cool and creative stamps using old corks. 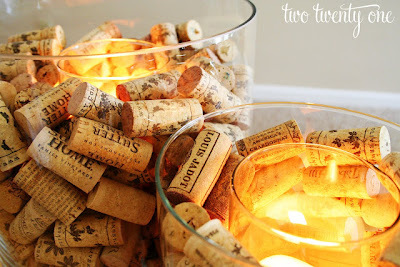 More ideas: 1 and 2. 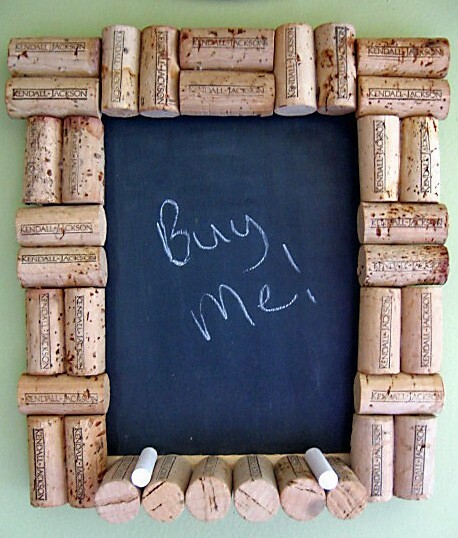 Cork Chalkboard / Message Board: The chalkboard is lined with used corks making it a cool message board.